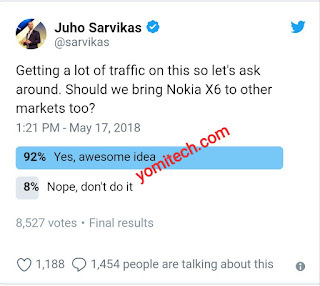 HMD recently launched a new midrange Nokia smartphone which is called the Nokia X6. 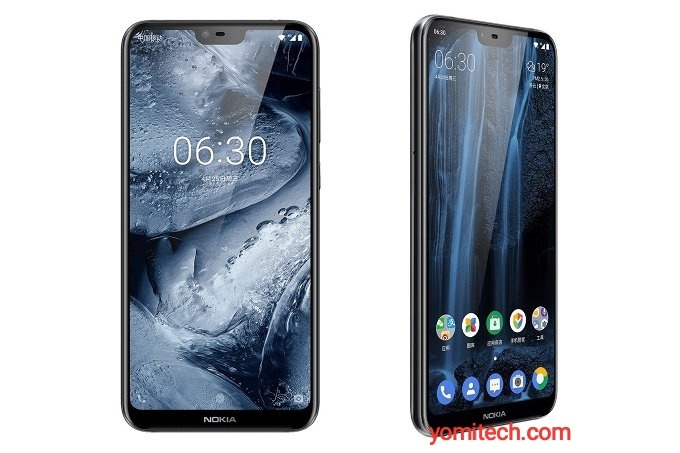 The newly launched Nokia X6 is the first Nokia smartphone to feature a Notch display and Even though the device is currently available for pre-order, it's exclusive to the Chinese market only. 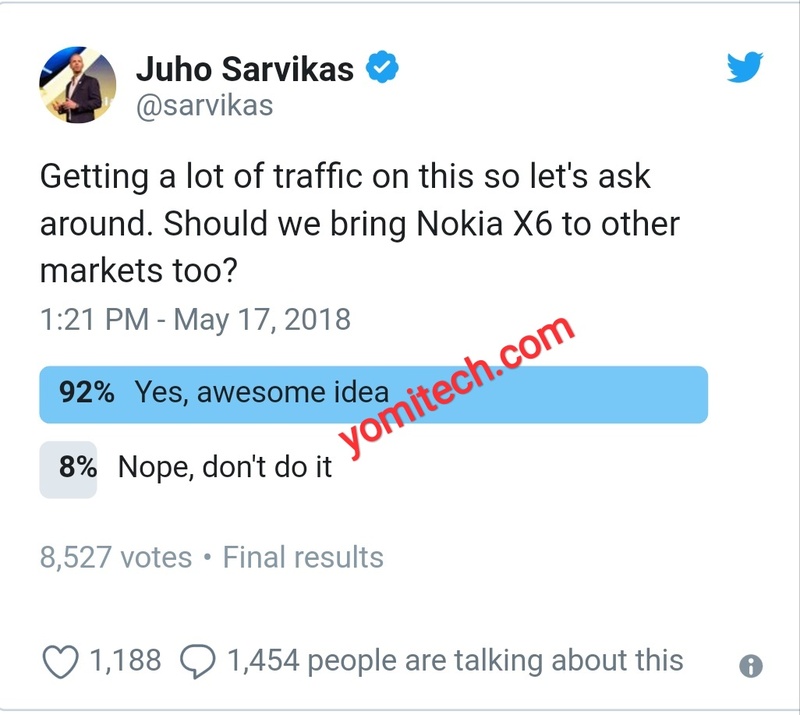 Due to the global enthusiasm from fans on the new Nokia X6, HMD Global's COP Juho Sarvikas decided to post a poll asking fans if they will like the Nokia X6 to be released globally. The result of the poll however showed that the fans will like the phone to be sold worldwide even with the controversial display notch as 92% of the 8.5k people that voted wants the phone to be available in other countries. Although HMD's COP is yet to make any comment on this, going by the result of the recent poll, the company might consider expanding sales of the phone to otherr countries. Until the company makes any official statement on this, all we can do for now is to keep our fingers crossed.